Ever have those weeks where the mojo just isn’t flowing? Sometimes I’m jazzed to get crafty but then I sit down at my craft table and just stare at everything and have no idea what to make. That would be this week for me! Thank goodness for swap cards! 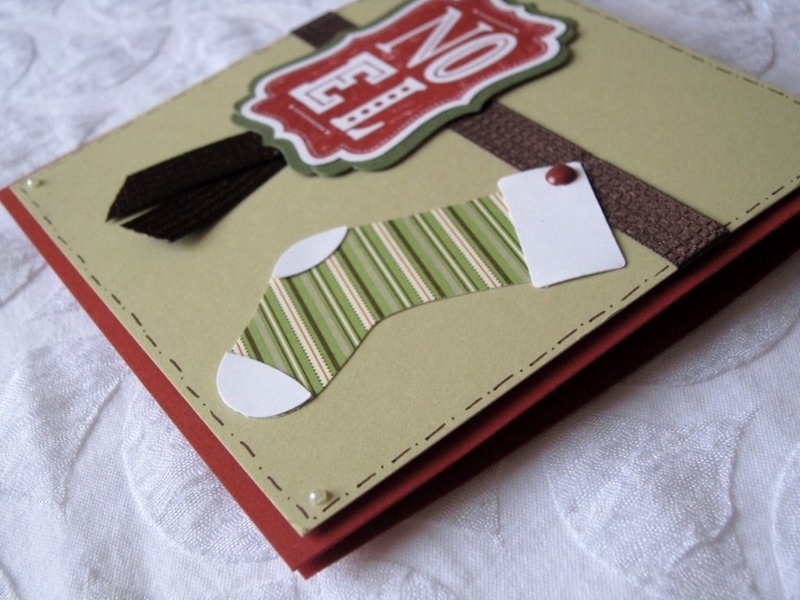 Today I thought I’d share a card by Carolyn Dobie that I found inspiring for two different reasons. 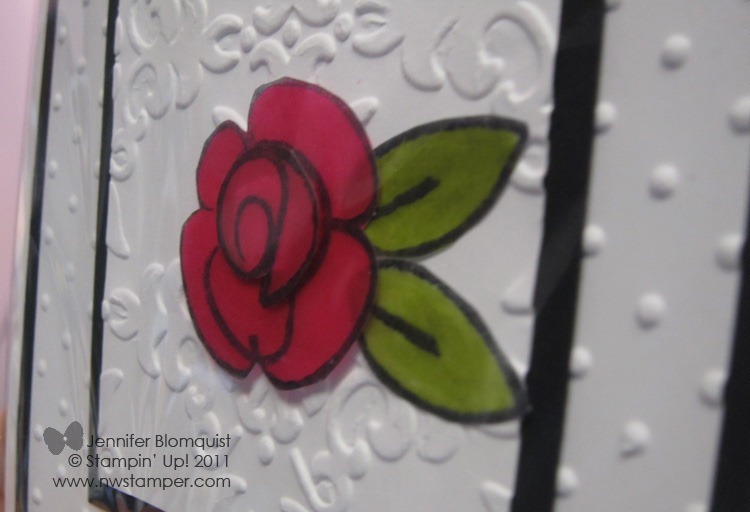 Combining two different embossing folders! I don’t know why I always think that I can only use one textured pattern on a card at a time…this definitely proves otherwise. Stamping with Vellum!! I LOVE the look of vellum, so I don’t know why I never think to grab it. 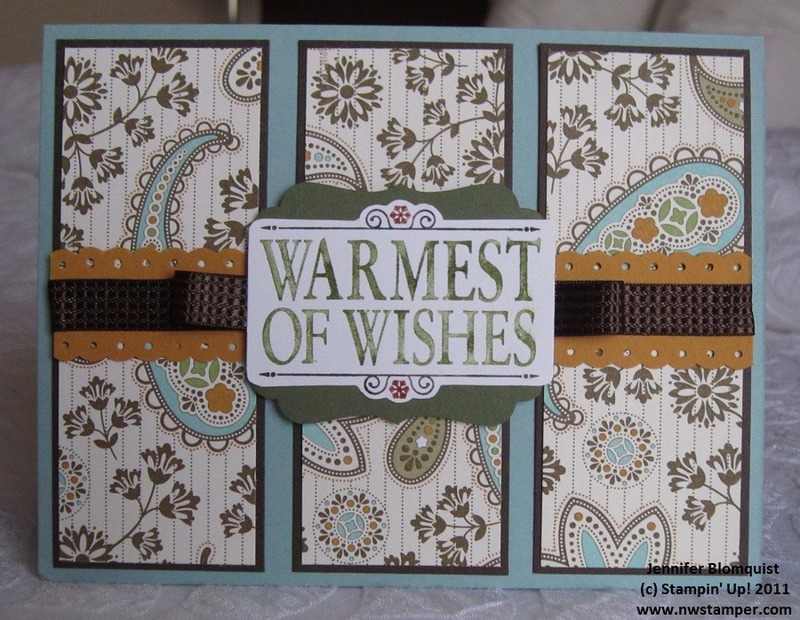 I love how she stamped her image with Stazon ink and then colored them in with her Stampin’ Write markers. So pretty and elegant. All together, I think this makes a very simple and sweet wedding card but with a change of a sentiment could be used for just about anything. I hope you enjoyed it too. Now I’m off to my craft room to start playing around! 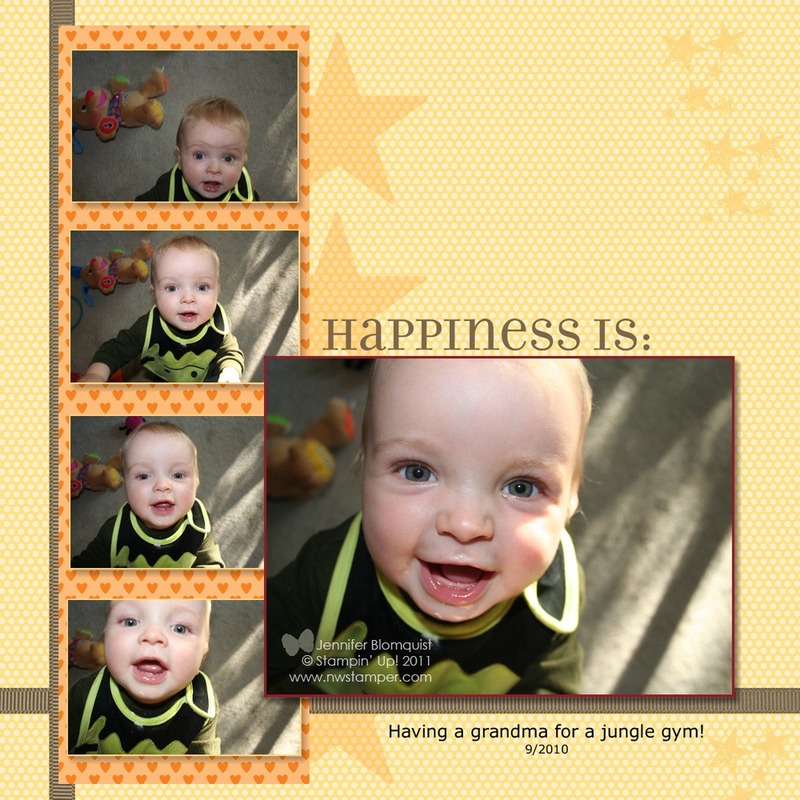 Like Digital Scrapbooking? Now is Your Chance to Win! Have you had a chance to try digital scrapbooking and crafting yet? 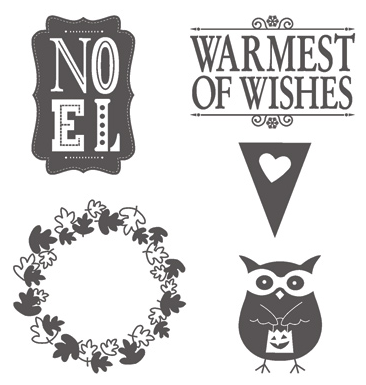 There have been different options out there for a while and last year Stampin’ Up! came out with their own option – My Digital Studio. I hadn’t done much digital crafting but I loved the idea of “hybrid scrapbooking” where you create a page and them print it out and add more layers, buttons, ribbon, or whatever else you want. So, I decided to give it a try and boy was it fun! This was a layout I made for their contest last year – except I submitted it an hour too late last time. Oops! Now it’s your chance to win! Well, they’ve announced a new My Digital Studio contest where 6 people will win $400 in My Digital Studio downloads and another 4 people will win $100 in My Digital Studio downloads! You have until October 15th to submit your favorite scrapbook page and card to be eligible to win. You can check out all the contest details here and if you want to see some more samples or learn more about My Digital Studio, there is a whole site filled with inspiration and information called www.mydigitalstudio.net. So, why try My Digital Studio? 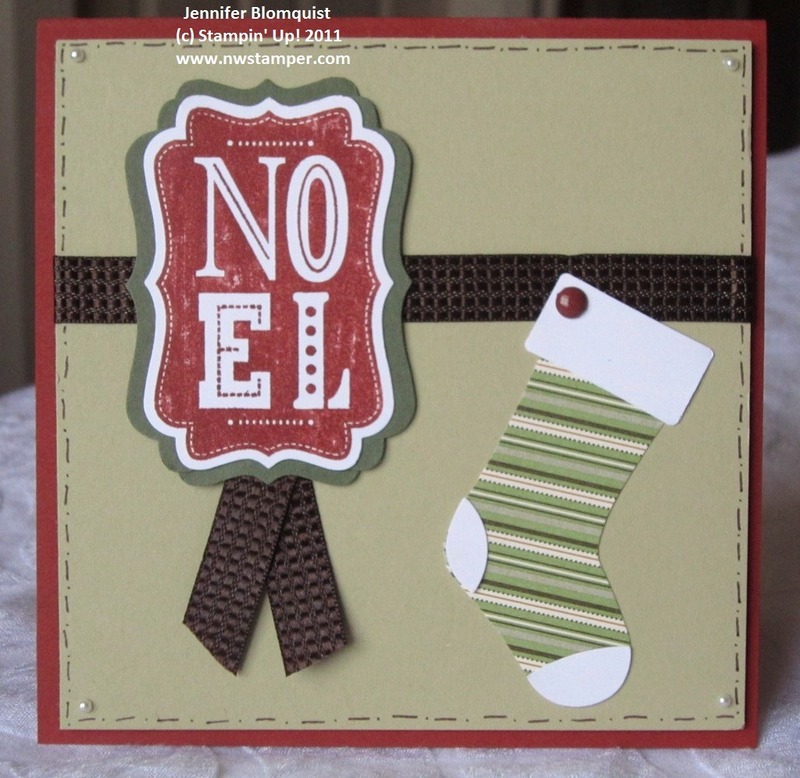 If you haven’t tried digital crafting or My Digital Studio, I thought I’d share what I like about MDS. Send to a professional printer straight from the program…PLUS the printer has been set up to perfectly match Stampin’ Up!’s color palatte. So, if you are like me and like making hybrid pages, you know that your Old Olive ribbon at home will match the digital version of the Old Olive paper on your layout. 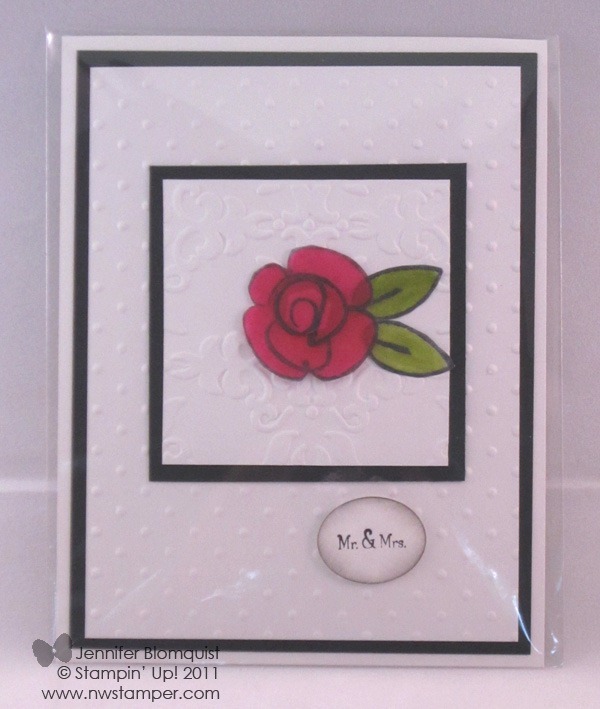 Get access to retired stamp images and paper patterns for a fraction of the price! They keep bringing back some of our old favorites and so if you missed a stamp set, you can get a digital version of many of them. Then print it out to use on your home projects or use it in your digital projects. Digital downloads and professional print services count towards hostess benefits!! So, if you are printing a bunch of photo calendars for gifts, you can get free digital or catalog products through the hostess rewards program! There are a ton more reasons why I think it is cool, but I don’t want to get too long winded. :) So, I’m going to work on getting my contest entries done early this year. If you enter, let me know…I’d love to cheer for you too! Click here to get My Digital Studio, digital downloads, and your favorite catalog products here! 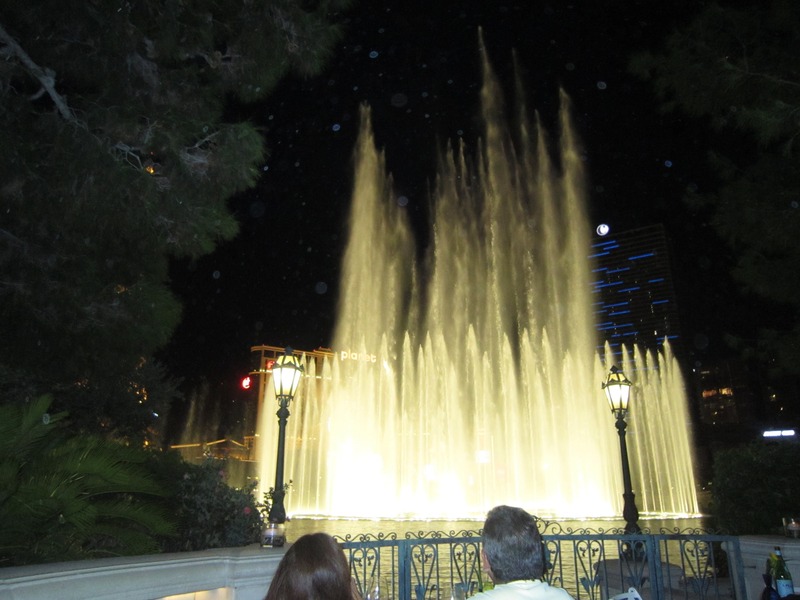 Today is our day to head home from Las Vegas. Its been a great trip, but I’m ready to head home. But before I fly out, I thought I would share one more card I made with some of my new goodies I brought with me on the trip. I decided last night that I wanted to play with my new Stocking punch and so I started digging through the limited supplies I brought to see what I had to go with it. Like many of my cards, my original idea didn’t pan out so I started goofing around. I ended up finding a paper I liked out of the Spice Cake paper pack…see! Its not just for Fall! Then I used the colors I had with me so I ended up with Cajun Craze and River Rock cardstock and ink. Some quilted ribbon, drawn faux stitching, and some little pearls and voila! i think this is my first Christmas Card of the season. I have a feeling I’ll be using that stocking punch a lot more in the future. It feels great to break into some of my new Holiday Mini goodies. I knew I wanted to play with the new Spice Cake designer paper and so I pulled out colors from the paper and went from there. To make some of the different elements i added to the card, I started with 3 panels from the Spice Cake paper and layered them on Early Espresso cardstock. I then used my markers to color in the Warmest Of Wishes sentiment from the new hostess set, also called Warmest of Wishes. :) I cut out around the image and then punched out a Decorative Label punch which I cut in half so I could easily layer it behind the sentiment. I did something similar with the ribbon. i used the Scallop Dotted Ribbon punch to punch out two strips of More Mustard cardstock and then layered them behind the new Early Espresso Quilted ribbon. i wanted a little something more so i added a loop of the Early Espresso ribbon on each side of the sentiment before adhering to my card. Its not my favorite card of all time but I had a lot of fun playing with everything. And I can’t wait to play around with some other ideas. So, off to stamp I go! Have You Seen The New Holiday Mini? Need your own copy of the Holiday Mini Catalog? If you didn’t receive a print copy and would like one free, just send me a note at jennifer@nwstamper.com and I’ll get one out to you right away! Anyway, hope you all are having a wonderful friday before a long Labor Day weekend! I’ll see you back here soon with more fun projects to share!